Where can I access ITE Leadership information and background? The ITE web site Elected Leadership Tools provides a library of available resources. How do you obtain a membership list for your section/chapters? A list of your sections/chapters membership can be obtained from ITE Headquarters. These lists are available only to the elected leadership of the section/chapter for the purposes of official ITE activity (newsletters, elections, ….). Contact Colleen Agan. Since we are not the first Section to elect officers, what are some of the things I should know as a section officer? First, many thanks for volunteering to serve our profession. We have developed a New Board Member Orientation powerpoint to provide valuable information for new officers. In addition, ITE has developed an Elected Leadership Manual and the web pages from other Sections and Chapters in Western District can provide you a sample of their activities. Finally, ITE provides a set of seminars you may want to consider in setting up your local technical programs. If we are planning to host an ITE Western District Annual Meeting, what should we know? Background organizing material regarding Western District Annual Meetings can be found here. Attendance at typical meeting can range from 250 to 500 (or more) attendees depending upon location. The Western District Board reviews proposals to host the meeting from interested Sections/Chapters at its Mid-Year Meeting at the end of January/early February each year. The meeting is rotated between a California and non-California sites within Western District on alternating years. Requests for proposals typically goes out in the fall of the year preceding the Mid-Year Western District Board meeting. Should several proposals be received, a short listing process may be utilized. At the Mid-Year Board meeting the Western District board may invite sections to make presentation(s) at the Annual Meeting. Selection is based upon the material provided and the presentation information. The Board determines the site deemed to best serve the Western District ITE membership, considering several factors including (but not limited to) costs, meeting/exhibit space, proposed venue(s), possible hotel accommodation options, travel connections/costs, regional attendance, date availability (meeting typically held mid-July), organization/enthusiasm of proposed LAC, rotation between various sections/chapters within Western District and other factors. Should you have any questions regarding this process, schedule or requirements, please feel free to contact the current Western District President. If we want to have a scholarship, what is the best way to administer it? Based upon Federal tax law, it would probably be best to have ITE HQ house the funds that would be used for the scholarship since they have non-profit status and can best address any tax filing consequences. Also by having ITE HQ handle the funding, donors are able to obtain tax deductions for their contributions. Local sections/chapters can retain the selection activities and the fund raising organization tasks. Sections that have followed this approach include Washington, SF Bay Area and Southern California (feel free to contact these sections for input and ideas). How can I get my Section out of the task of collecting dues each year? Several sections have found that partnering with ITE HQ on due collection relieves them of a lot of needless administrative work and they have increased their collections. ITE HQ will bill your dues in October at the same time they invoice membership for International and District dues. The local section/chapter receives a check three times a year from ITE HQ at 100% of the dues collected. Agency membership dues are returned at 80% of the agency dues collected. 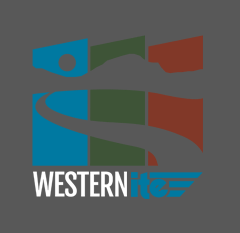 How do I change my address for ITE Journal and WesternITE mailings? You can go to ITE’s website and enter your user name and password and update any of your contact information. These changes are input every week and become available to the membership on the web membership directory immediately. When you make this change, it changes the list that Western District uses to update their mailing list for WesternITE. ITE has several new brochures for membership, career development and public information – how do I get them? Section and Chapter officers can contact Heather Talbert at any time and request these materials for your Section and Chapter meetings – they can be shipped within a week. Just send Heather an email and request what is currently available and she would be happy to assist you. Do I need insurance for our meetings? Depending upon the venue of your meeting and their requirements, you may be asked to provide liability insurance. For lunch meetings, this is unlikely. However, when you begin to undertake larger events – all day meetings with over 100 to 200 attendees and/or host meetings where liquor is served as part of the event, this may become requirement of your meeting site/hotel. The insurance that HQ and Western District have is not transferable to sections – based upon industry standards (ie. your home insurance would not cover a relatives house in another town). Liability insurance can cost around $500 per year for the type that Western District carries (from The Hartford). I saw some new videos produced by ITE – how can I get one to show to my local student chapter? ITE will provide you a CD copy of the new Career in Transportation video (produced in 2001) or the “It’s Your Street” video (produced in 2002). Single copies of the CD are available to any member that will utilize them to promote the industry to the public or students (email Tom Brahms at ITE HQ). If you need multiple copies of the CD, you should contact ITE HQ to get information on ordering them. There are several awards which ITE sponsors – what are the key deadlines for these awards? 1. Section/Chapter Activity Award – This award is issued annually at theWestern District level and then the International level each year. It goes to the section judged to have the highest quality activities in the prior year. The deadline for this award is April 1 of each year. More details regarding this award can be found at http://www.ite.org/awards/ including the Word template for the report submission. Prior Western District award winners are listed on the awards page. 2. Technical Article/Paper Awards – Western District issues four of these annually for the best article issued by a Western District author in ITE Journal (based upon calendar year), for the Best Western District Annual Meeting Paper (call for papers typically due December each year), for the Best Student Paper (call for papers due March of each year). More detail on each of these awards and the past winners can be found here. 4. Technical Council Awards – ITE Technical Councils issue awards for their best projects of the year (based upon calendar year). 5. Outstanding Service to ITE Awards – There are several awards for service. Many local Sections/Chapters have these awards. There are three International and two Western District awards issued each year that would be the most distinguished. The Theodore Matson Award and Burton March Award are presented annually at the international annual meeting. The Western District awards are the Lifetime Achievement Award and the Individual Achievement Award. These awards do not have deadlines and are issued by panels of distinguished ITE members. Why does ITE ask for copyright waivers for papers? Papers prepared by members are their work. For ITE to publish them or allow their presentation at annual meetings requires ITE to seek a waiver of copyright to avoid the potential for copyright infringement from the author. Works by others that are published by any Section or Chapter should also follow these laws. Therefore, if a photo, graphic, text or article is copied for distribution to the membership, you should have obtained copyright waivers to protect yourselves and ITE. We are planning a big (maybe the biggest ever) local ITE meeting – what help can I get from ITE to assist us? Probably the number one area of assistance that ITE can provide to Sections/Chapters is in negotiating with hotels for the venue of our meeting. The larger meetings (over 100-200 attendees) can sometimes require complicated contracts or agreements that can be very costly if not properly reviewed (clauses such as penalties). Since officers at local Sections/District change over frequently, ITE HQ is a good source of assistance for this help. ITE can help with name badges, tickets and registration programs that avoid having local members have to create them uniquely each year or meeting. The HQ assistance should be reserved for large meetings. Members ask me what are Councils or the Coordinating Council and how can they become involved in their activities? ITE Technical Councils provide members an opportunity to explore areas of technical development more actively. All ITE membership can join a council by simply checking a box on their annual dues form. The true value of council involvement is your participation. The Coordinating Council oversees all the individual Technical Councils, providing oversight, direction, resources (if needed) and focus. Coordinating Council involvement is a “next step” after Technical Council involvement. How do Recommended Practice, Informational Reports and handbooks vary within ITE? These are various technical reports produced by ITE members and technical committees that range from information to standards of the profession. The best description of these documents is provided on the ITE web site along with the guidelines for preparation of these documents (if you are contemplating forming a committee).